1.1 What Does Rooting means? 1.3 The Main Advantages Of A Rooted Android Phone. 1.3.1 Allows To Install Special Root Apps. 1.3.2 You Can Custom ROM. 1.3.3 Free The Internal Storage Of Your Phone. 1.5 Drawbacks Of Rooting Android SmartPhone. If you want to run more excellent apps, Even want to install custom ROM then you need root android device. So we advise to our users to understand all concepts about rooting the android phone as explained below. Helps to perform some other actions that are inaccessible to a typical Android user. It gives the permission to replace or change system apps and settings. To run specialized apps that require administrator privileges. With rooting you can also get access to remove and replace of your device OS, regularly with a most recent release device Platform. The Main Advantages Of A Rooted Android Phone. Some apps you get from the store require administrative privileges, so to run these apps rooting is a must. Without rooting, users cannot install these apps, and with the support of these apps, you can change anything according to you. So there are lots of advantage of rooting you can change settings, features and customize your Android phone according to your taste. Here we are trying to show some points for your knowledge about advantages of rooting. Allows To Install Special Root Apps. The help of rooting you can get entree to run individual apps those, you cannot install in unrooted phones because these apps need to get administrator-level permission. Whereas on rooted phones you can install these apps easily because it opens up the administrator rights on your Android device through which you have access to all core files of a mobile phone. There are many unique apps like backup apps, gesture apps, and more other apps through which you can improve your mobile processing speed, customize phone characteristics and can change its settings. Inbuilt ROM is named the stock ROM of the phone’s OS that comes with a smartphone when you buy it. A custom ROM is a completely standalone version of the OS, It holding the apps, kernel, services, etc. everything you need to operate the device, and it is the best feature of rooted Android phones. There are several custom ROM’s through which you can do anything like increasing the processing speed of your Android phone as well as change its entire look. Because of the Android open source developers gives the capacity to change your phone according to you whatever you can do like you can change stock ROM, delete garbage files, apps, optimize it, etc. Free The Internal Storage Of Your Phone. There are several apps which come inbuilt in the Android phones by default. We cannot remove those apps because there is no option to uninstall those apps but in the rooted phones you can be easily able to delete those apps which are saved in the internal storage on your mobile phone, and you can free your phone’s memory by uninstalling them. In case if you do not want to remove inbuilt apps then you can easily move them to the SD card which makes some free internal memory on your phone. We know that we can recover and accessed our data by booting into Android but rooting gives additional options for backup in case, your mobile phone fails to boot or experiences the other error during booting so due to this makes ClockworkMod Recovery a necessary tool for those who were seeking to install custom ROM versions of Android. Once rooted by using the ClockworkMod Recovery option you can easily do a complete backup of your device, and in a case of major malfunction, it provides you extra protecting. Once you root the android phone, you can install different OS versions of Android. Sometimes manufacturers may delay the latest versions. So if you do not like to wait to get the accessible update on your phone. Rooting will open the door and make helps in making device faster for Android updates. You can install new updates and version of Android OS and can install on your phone before it is available by rooting. 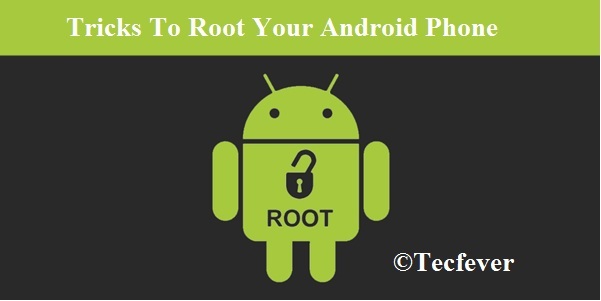 We are going to teach you about the tricks to root android phone. Like we all know there many different mobile phones with different models. Unfortunately, every phone is different from another one, and due to these reasons to root the Android phone, there are various methods. So we need to select the best method to root android phone compatible with our device model. It is difficult for us to list a particular method according to the device to root android phone. So here we posted some sites from where you can find everything that you need to know about how to root android phone easily according to your device. Drawbacks Of Rooting Android SmartPhone. Where there are benefits of rooting an Android phone, there are some drawbacks also. Like rooting is processed to gain access to all the system of the phone. It becomes risky for a device to stable its quality. Rooting Android directly causes on the quality of your smartphone. Here we explain some points about effects which come after when we root android phone. Despite, the rooting tutorials are good, but it is a difficult task at some point. If you do any step in the wrong then maybe your android phone get bricked. It is a circumstance when you miss out any step, does it wrong or jump a corrupt zip file. Then your smartphone is nothing more than a brick. If your phone not capable of booting and doesn’t respond anything, then it means it is bricked. However, mostly there are only 2% chances from 100%. If you follow all the steps carefully, then there are chances of bricking. So it all depends on the users. Rooting voids your phone’s warranty. So whenever you need to root your phone do it after lapse your phone warranty because whenever you go to get service your phone in the warranty period after rooting, then you should have to pay for it, they will not repair your phone free but you can overcome this difficulty by unrooting it. However, if your phone bricked while rooting and you go for repair then you should have to pay for it, they cannot repair it free. We only want to say whenever you want to root android phone. Always follow right guide. An overall rooting Android phone is excellent option to do. 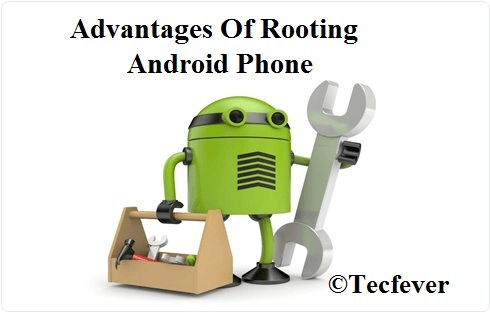 Always choose a right way to root Android phone according to specific smartphone model. We hope you like this article and learn the technicality behind rooting android phone. If you feel the same Please share it with your friends and family also. Feel free to write your queries in the comment box beneath. I write this method to Root Your Android Phone. I hope this will help you to Root Your Android Phone. Kindly follow the above steps to Root Your Android Phone. If you like our posts please share ith with your friends. Thanks.